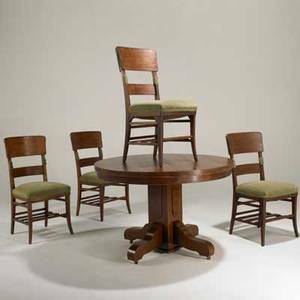 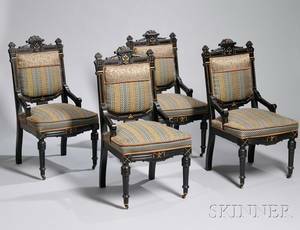 Four Victorian chairs, 19th c. Provenance: The Estate of Anne Brossman Sweigart, Ephrata, PA.
Four Victorian chairs with carved mask crests. 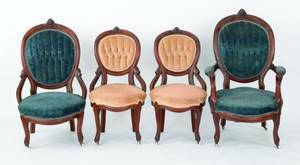 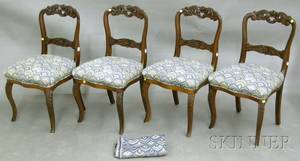 Seven victorian chairs set of four together with three parlor chairs, all 19th c. largest: 27" x 27" x 42"
Set of Four Victorian Upholstered Carved Walnut Parlor Side Chairs. 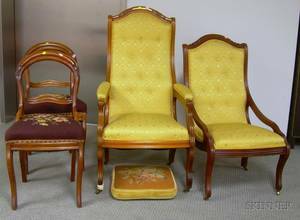 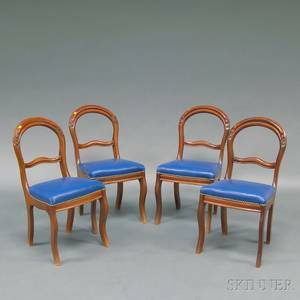 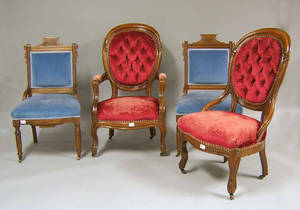 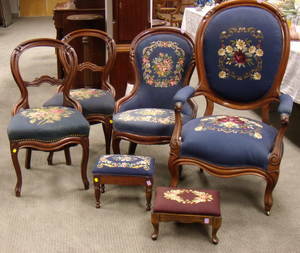 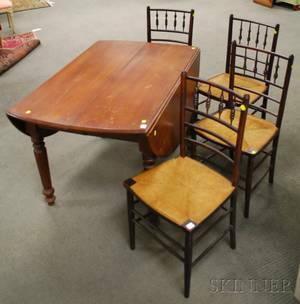 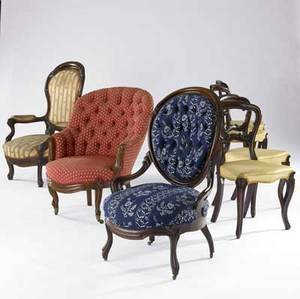 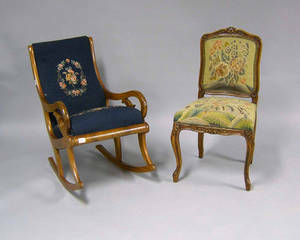 Set of Four Victorian Eastlake-type Upholstered Parcel-gilt Ebonized Carved Walnut Parlor Side Chairs.